15-Inch MacBook Pro Specs Leaked Ahead of Launch? While Apple have not yet officially announced an upgrade to the MacBook Pro line, there is wide consensus amongst the tech press and industry observers that the MacBook is due for an imminent refresh. 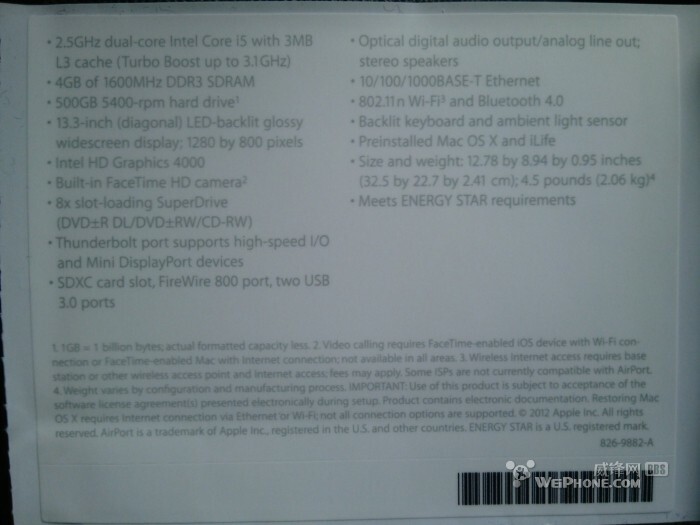 The same source that earlier leaked an image on to a Chinese forum allegedly showing the 13″ MacBook Pro specs has now updated the post to include some dubious specs purported to be from the new 15″ MacBook Pro. If the above specs are correct, then there have been very few changes made with respect to the current model MacBook Pro. This will come as a disappointment to many, with recent rumors pointing towards a redesigned and slimmer form factor with a quad-core processor and high-resolution retina display. According to the post, the MacBook will still feature SuperDrive, despite most prior reports indicating that the next MacBook Pro would drop the optical disc drive in order to reduce weight and size. A physical ethernet connection also seems an outdated and unnecessary inclusion. If these specs are correct, which seems improbable, Apple will be using old-model CPU’s in the new 15 inch MacBook Pro. Given that the 15-inch specs appear inaccurate, and are from the same user, an extra wave of doubt is cast over the original “leaked” 13″ MacBook Pro specs. In any case, last year’s MacBook Pro refresh featured a very minor speed-bump and anything except a major update to the 2012 range is likely to be very poorly received by consumers holding out for an upgrade. There’s a good chance that the new MacBook Pro line-up together with OS X Mountain Lion will be introduced at this year’s World Wide Developers Conference (WWDC) in San Francisco this month.